They included some halftime adjustments from coach Megan Perkins, tight defense and 10 saves from goalkeeper Madi Szafransky, and finally a little magic between Kelsey Crosby and Amanda Gerard. After 57 scoreless minutes in a State 4A first-round match against West Valley (Yakima), Gerard scored twice to give the Titans a 2-0 win Wednesday night at Spokane Falls Community College. Both were products of a dominant second half for the Titans (10-7), who advanced to play rival Central Valley in a quarterfinal match on Saturday at SFCC. U-Hi struggled to create chances in the first half against the Rams (10-6-2), the Big 9 runner-up. “Then we made some adjustments and we were able to find a beat and connect, and obviously it worked,” said Perkins, whose Titans have won four of their last five matches after barely reaching regionals. The payoff came in the 58th minute, when sophomore Lauren Chester split several defenders before setting up Gerard for what turned out to be the winner. Seven minutes later, Crosby’s corner kick from the right side found Gerard – her teammate during the club season – for a header that made it 2-0. “If we’re going to score a goal, that’s the way to do it,” Gerard said. The Titans also dominated the stats, taking 15 shots to six for West Valley. Already this is the Titans’ best season as a 4A school, but a win against unbeaten CV would make it even sweeter. U-Hi lost to the Bears 1-0 in the regular season and 4-0 on Monday in the regional finals, but Gerard said the Titans “are going to come out a little harder” next time. “It’s hard to beat a team three times,” Gerard said. West Valley 4, Lynden 1: Madeline Liberg had a goal and an assist and the Eagles defeated the Lyncs in a State 2A first-round playoff game. West Valley advances to a quarterfinal match on Saturday at home against Port Angeles. 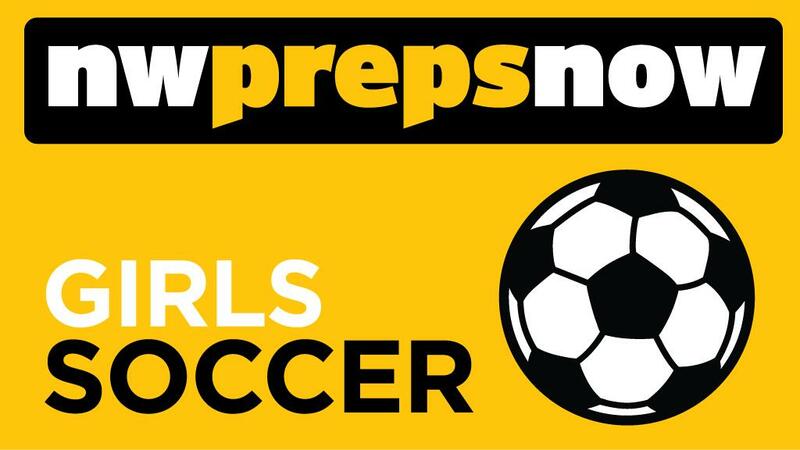 Columbia River 2, Clarkston 1: Yanisey Rodriguez scored in the 51st minute to break a 1-1 tie and advance the Chieftains to the 2A quarterfinals against Bellingham. Makinzie Packwood scored in the 49th minute for the visiting Bantams, who finished 12-6. Published: Nov. 8, 2017, 10:01 p.m.